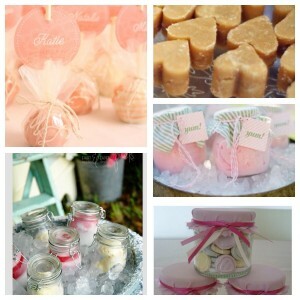 Wedding favours are a small gift given to guests by the bride and grooms to show their appreciation during a wedding. They come in many forms and vary in price. 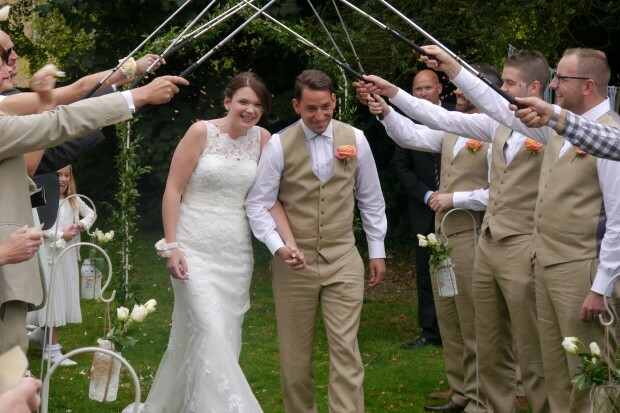 It is believed that the first wedding favour was a small trinket box, known as a bonbonniere, made of crystal, porcelain and or precious stones. They were traditionally filled with sugar cubes, which showed wealth and royalty. As the price of sugar deflated throughout the centuries, the idea of provided guests with a gift became the modern thing to do and Almonds quickly became the in thing. These than transformed into what we know today as sugared almonds. 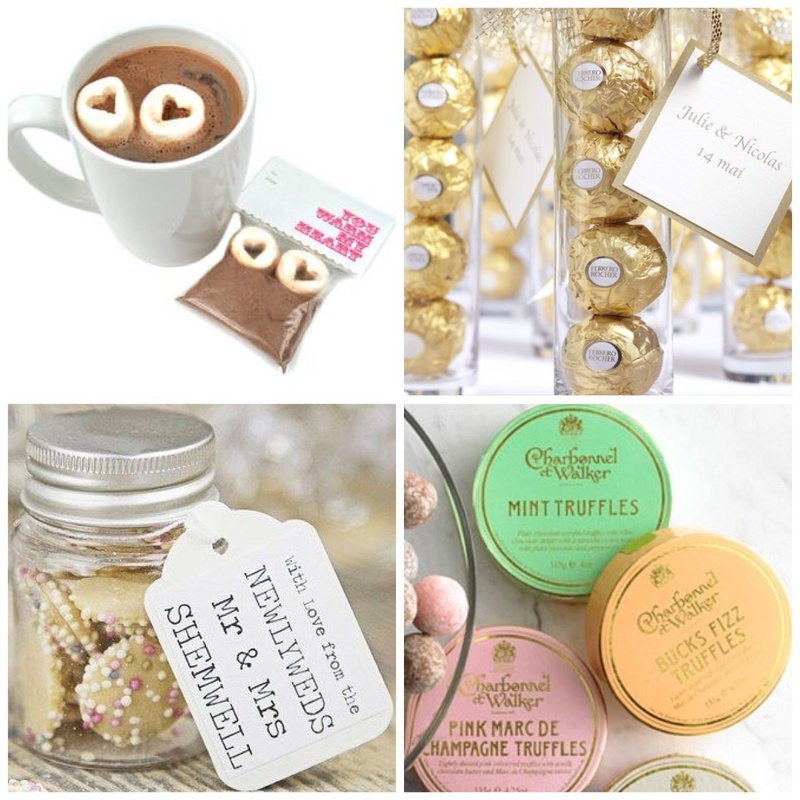 Yummy chocolate truffles in vintage styled tins, Ferrero Roche chocolates, white chocolate buttons with sprinkles in a small jar and a hot chocolate sachet with two heart shaped marshmallows all make the perfect chocolate wedding favour. Most of them are easy to create yourself and if you fancy it, why not try to make your own chocolate truffles! Cake pops doubling up as place name cards and easy to fit within your throne colour. Candy gloss and love hearts in small jars with cute material over the lid, heart shaped fudge and ice cream in a jar kept cool by placing in ice. 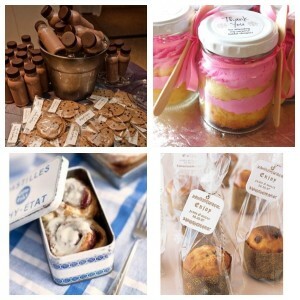 The new wedding trend 2014 is cupcakes in a jar making the perfect wedding favour. Mini muffins in cellophane, tied with a ribbon is a cute addition to your wedding guests place setting. 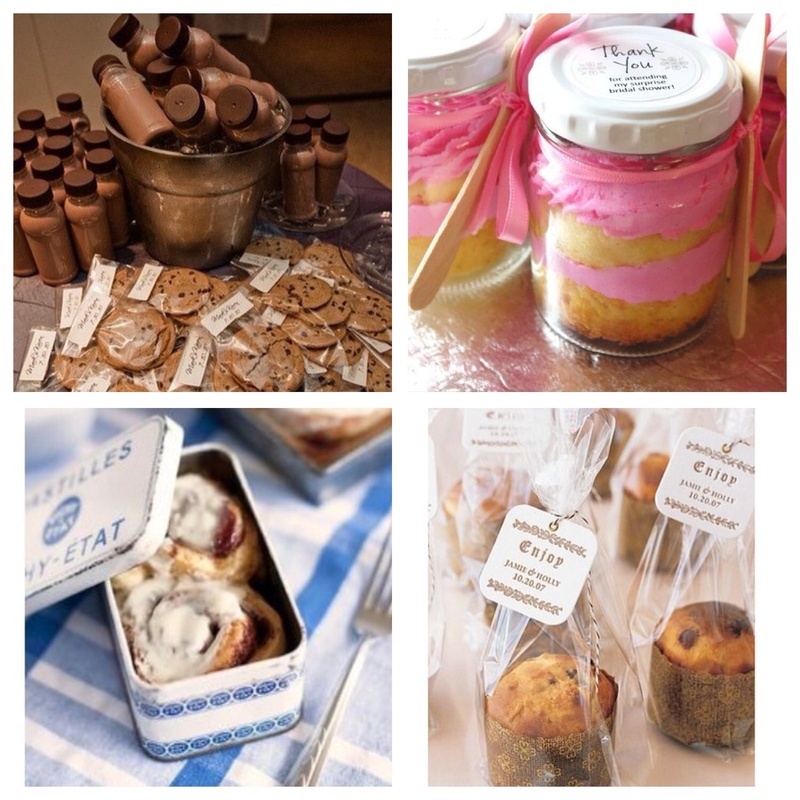 Danish parties in tins and cookies and milkshake also make for amazing Cake Wedding Favours. There are many different sauces you could buy or create yourself and bottle up for unique edible wedding favours. BBQ sauce, sweet chilli sauce and hot sauce are just some of the ones you could create. The mini Heinz Ketchup are so sweet and who doesn’t like ketchup? Oil infused with Rosemary and other herbs are great for earthy wedding themes. 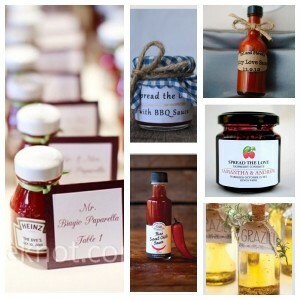 If you are a dab hand at making jam, get creating different types and jar it up for your wedding guests. Who said edible wedding favours need to be unhealthy? 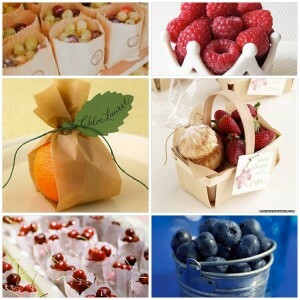 All fruit can double up as a wedding favour. Strawberries, blueberries, blackberries, raspberries, grapes and much more, can all be displayed in different ways from mini tin buckets, fruit baskets, paper bags etc. organs, apples and pears are all great to use for that added touch to your place setting and can be used as a place name card a swell as fruit wedding favours. 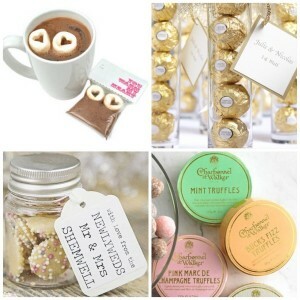 What edible wedding favours did you have at your wedding?